Long tail keywords are three or four keywords that are specific to the thing what you are selling. When a person is trying to find something on Google he doesn’t just input one word into the search, he enters a question or a specific phrase. And this is what long tail keywords are – specific phrases a person would enter into a Google search. 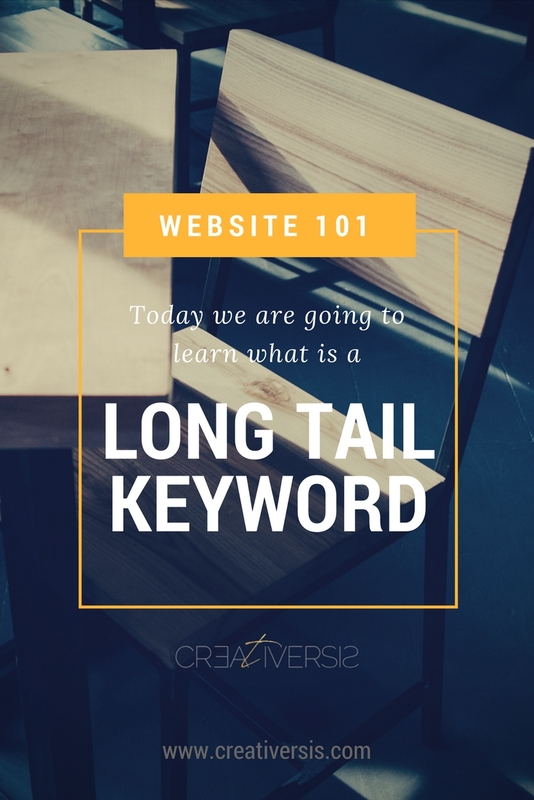 So, if you use long tail keywords, it is more likely that a person with a specific interest would come to your website and buy your product or service. As you may know by your own experience, ranking for a specific keyword can be a challenge. But, with the use of specific longer multi-word keywords, you can easier get better ranking on Google. But, there is also a downside to this approach. If you focus too much on phrases that are too specific, your website won’t get that much traffic. Yes, visitors that come to your website through long tail keyword will be spending money on your website but you need it all nowadays – traffic and profit. Profit to make your business sustainable and traffic to rank better or search engines. – and have pages with long tail keywords – that will bring you, specific customers, how have already done their research and are now ready to place an order. And if you don’t know what keywords are and where/how to use them, read my earlier post – What are keywords and how to use them to increase traffic to your website. Sign up to receive email updates on new Website tips and tricks on how to improve your website design and functionality. Email automation – what is it and why do I need it?